This is a new blog series we're doing on religious and cultural holidays/celebrations that are commonly celebrated in Massachusetts to help create awareness for these traditions and their origins. If there's a particular religion or celebration you or someone you know participates in that doesn't appear on this list, let us know by leaving a comment on this post. Or, if you think we got something wrong, please also comment and let us know. We try to be as accurate as possible, but if there's a mistake, we want to correct it. On November 26, Baha’is around the world will celebrate what is known as the Day of the Covenant on 4 Qawl. This holiday is a celebration of the co-founder of the Bahai faith, Baha’u’llah’s, appointment of his eldest son as his successor. 'Abdu’l-Baha's appointment as the new Head of the Faith ensured that the Baha’i community remained united and confident in their faith. 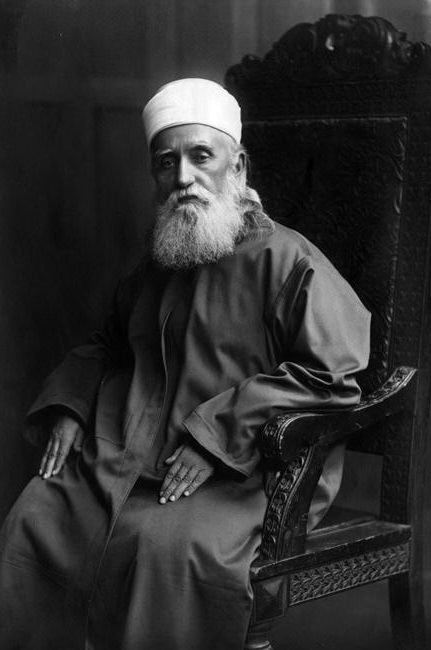 'Abdu’l-Bahá , which means “Servant of Bahá ”, was born on May 23, 1844. Naturally, Baha’i followers wanted to celebrate him on his birthday. However, this day was already of great importance in the Baha’i Faith. It was the day that the Bab declared his mission and began spreading his message. Therefore, 'Abdu’l-Bahá made it clear to the Baha’is that he would not be celebrated on this day. That day would be reserved for celebrating the Declaration of the Bab. This decision was typical of 'Abdu’l-Bahá , who was very humble and devoted to the Baha’i faith. The Baha’i community still wanted to celebrate 'Abdu’l-Bahá . Thus, they decided to dedicate the Day of the Covenant to him. Baha’is celebrate this Holy Day as they do all others in their faith. They gather in prayer and worship and celebration of unity and acceptance. All are welcome to join in the celebration regardless of any difference in faith or beliefs. Learn more about this holiday and the Baha’i faith with the books below. The Bahá’í community will observe the Ascension of `Abdu’l-Bahá on November 28. This holiday commemorates the death of `Abdu’l-Bahá in his house in Haifa in 1921. He was the eldest son and successor of Baha’u’llah, co-founder of the Bahá’í Faith. Over ten thousand mourners from diverse religions and ethnic communities attended his funeral. His remains were laid to rest in a vault next to the vault of the Báb on Mount Carmel. Learn more about the writings of `Abdu’l-Bahá with the book below.